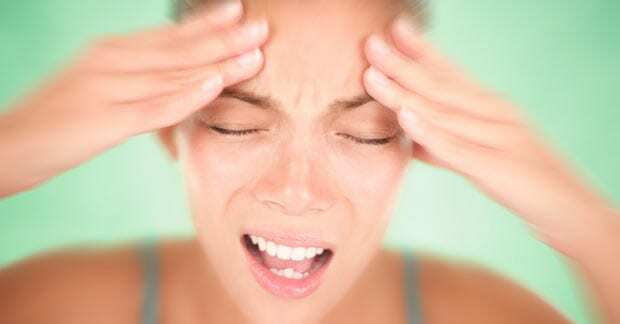 Headaches: How Does Chiropractic Help? According to a study completed in 2005, a review of the published literature revealed good evidence that intensity and frequency of HAs are indeed helped by chiropractic intervention. The researchers limited their review to cervicogenic headaches and spinal manipulation and noted the need for larger scale studies. The well-respected Cochrane database reported spinal manipulation (SM) as an effective treatment option with short-term benefits similar to amitriptyline, a commonly prescribed medication for migraine HA patients. For cervicogenic HA, the combination of neck exercises and SM was found to be effective in both the short- and long-term, and SM was superior to massage or placebo (sham or “fake” manipulation). Regarding the question of treatment frequency of SM plus up to two modalities (heat and soft tissue therapy), a preliminary study found that when comparing patients receiving one, three, or four visits per week for three weeks, those receiving 9-12 treatments during the three weeks had the most benefit. Regarding the questions, “What is affected by SM?” and “Why does SM work?” for cervicogenic HA patients, one study looked to the intimate relationship between the upper cervical nerve roots (C1-3), the trigeminal (cranial nerve V), the spinal accessory (cranial nerve XI), and the vascular system. Inflammation within these structures and their relationship with the trapezius and SCM muscles help us understand the “why” and “how” of SM and referred pain pattern to the face and head in those with cervicogenic HAs. Realizing this is a bit “technical”, feel free to look up these structures online and you’ll appreciate the close proximity they have to each other and how adjustments, or SM, applied to the upper cervical spine can affect this region. It has also been reported that SM and strengthening of the deep neck flexor muscles benefits the cervicogenic HA patient. Many HA sufferers have combinations of symptoms including dizziness, neck pain, concentration “fog”, fatigue, and others, which also respond to SM applied to the upper cervical spine. One study reported a 36% reduction in pain killer medication use in a group of cervicogenic headache patients receiving SM but no reduction in the patient group receiving soft-tissue therapy. The list of research studies goes on and on! So WHAT are you waiting for? TRY CHIROPRACTIC for your headache management!